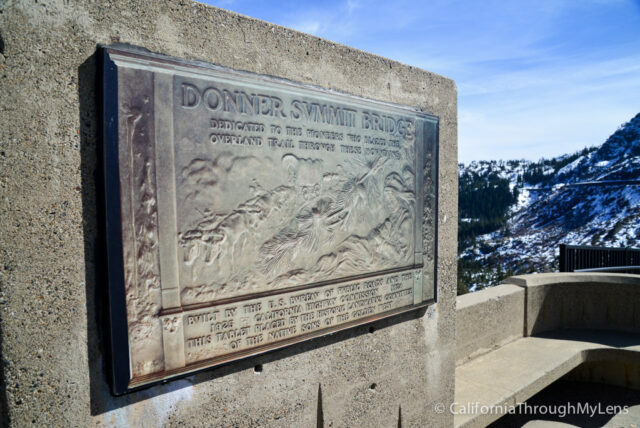 On my constant search to find the best bridges in California I stumbled upon the Donner Summit Bridge, also known as the Rainbow Bridge, while exploring the Donner Summit Tunnels (you really need to do this hike if you haven’t). I snapped a few photos of it while I was there, but luckily my friend Nate lives in the area and was able to supply all of the photos in this post. 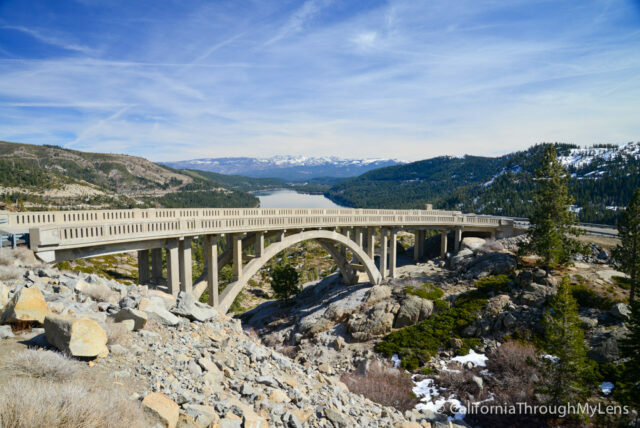 This 241 foot concrete bridge is a beautifully recreated example of early 1900’s architecture. 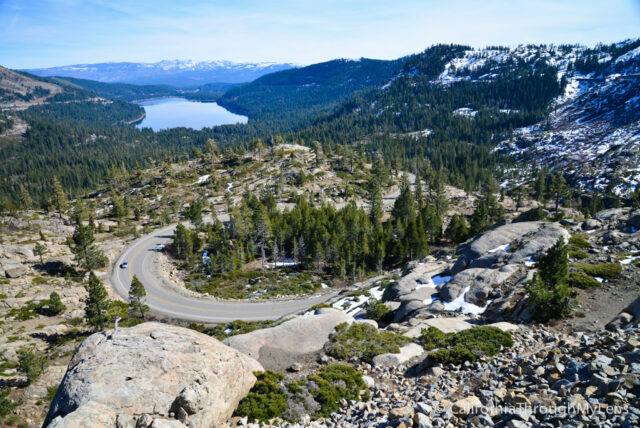 During the 1920’s when the automobile started to become the main method of transportation in America, the Donner Pass had an 18% in some areas, much too steep for automobiles. 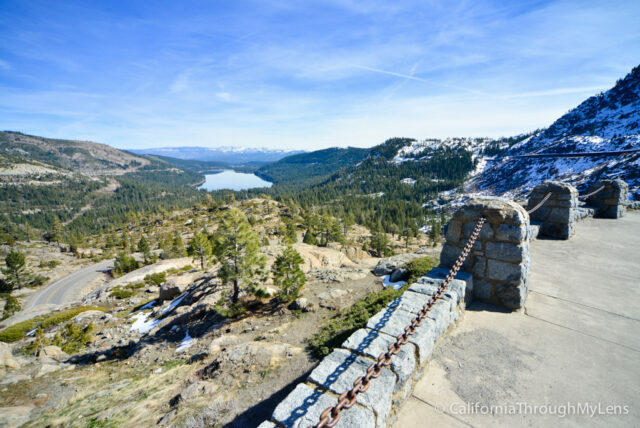 The state of California worked on building a new road over the popular Donner Pass in the 1923 but was unsure how to best deal with the grade. 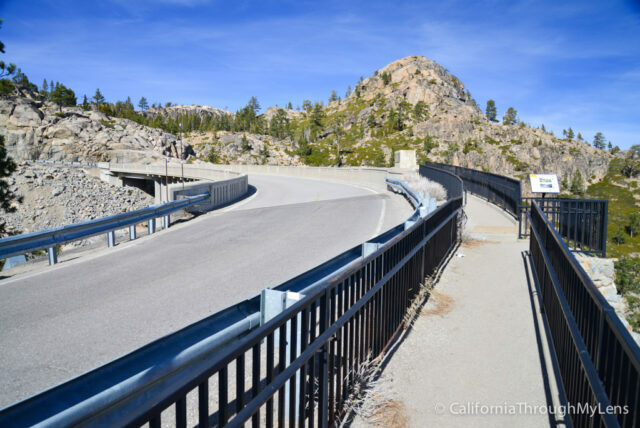 Eventually they decided on a concrete bridge that had both a curve and a gradual grade (the first of its kind to have both). 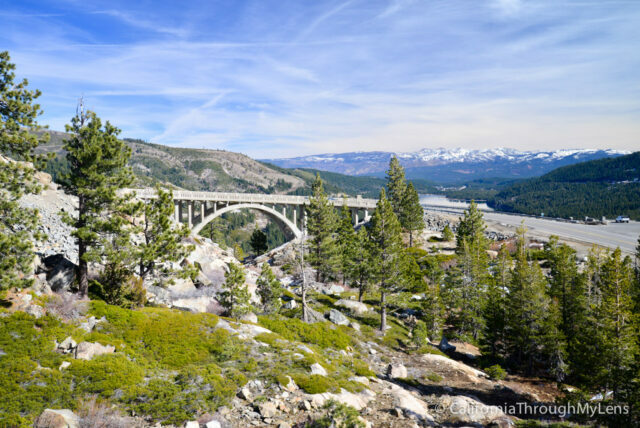 The bridge was finished in 1926 at a full 241 feet long, materials for the bridge were taken from down near Donner Lake. After almost 50 years of constant use the bridge was in a state of disrepair. It was set up for demolition but community members rallied and saved the bridge with a grant from the state of California to strengthen it. The bridge used new concrete designed to match the color and style of the original look and the full restoration was completed in 1993, along with a parking lot that allowed people to visit and admire the bridge. 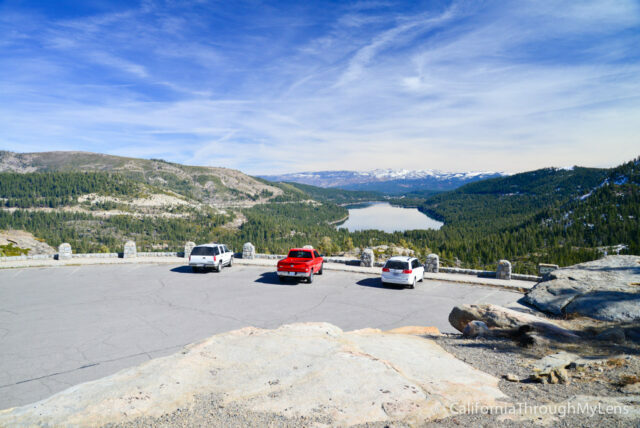 At the top of Donner Summit Road on the right hand side you can pull off into the aforementioned parking lot to admire both the bridge and the views of Donner Lake below. 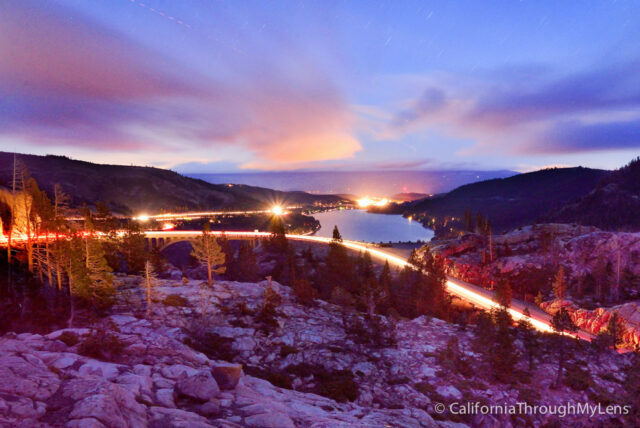 This is also a fantastic place to watch fireworks over the Donner Lake if you are here during the Forth of July. After parking you can walk across the bridge to get a great view from the West side. There is a built pathway so that you can safely make your way across the bridge without interfering with traffic. From this vantage point the bridge is at its most majestic. If you are feeling adventurous you can even scramble down the loose rocks to get a better view from below the bridge as well. 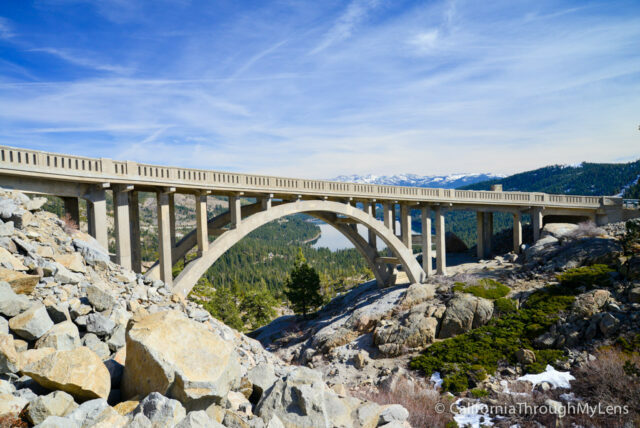 This bridge reminds me a lot of the famous Bixby Bridge as it was built during the same time period and has a very similar style. 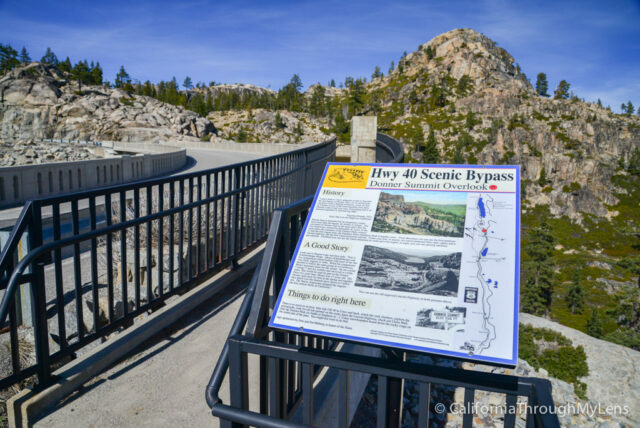 After heading back to the parking area there is another small hill that you can scramble up to get views of the bridge from a higher angle, as seen in the below panorama. I love just sitting up on this rock and taking it all in, you can see cars wind their way up the curvy road below you. My friend Nate even went here one night to take some long exposure shots, here is the outcome. As you can no doubt tell, I am passionate about historic architecture, especially bridges. 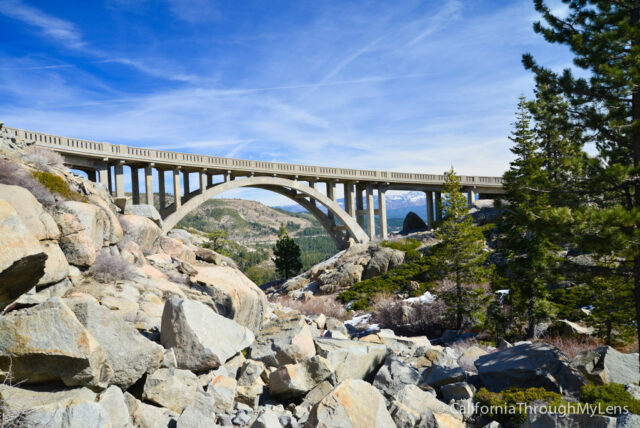 I would highly recommend you make a stop at this famous and historic bridge as it is a beautifully strengthened example of the 1920’s history. Let me know your thoughts in the comments.